I’ve stopped counting how many times I’ve vented about the Cleveland Indians this winter. While they should be trying to take advantage of their remaining years as a World Series contender, they’ve instead aggressively shed salary and made a flawed roster worse. Throughout my continued rants, I’ve heard some Indians fans try to ease concerns by saying things like “don’t worry, Cleveland will make a big trade at the deadline.” Others point to the roster the Tribe opened the 2016 season with, noting it very clearly didn’t look a group of guys capable of getting within one run of a championship. It’s this last part which continues to stick with me, albeit not in a comforting way. I truly do think the Indians are taking the same approach they did heading into their World Series season, leaning on great starting pitching and a few standout players with the hopes things will work out in their favor. The problem, though, is how much has changed since that season, and how said changes are now hurting the chances of this being a successful strategy in 2019. The first, and most obvious difference between 2016 and the upcoming season is Cleveland’s competition. Back then, there were no clear-cut dominating teams in the American League. The Boston Red Sox were solid, but not quite a finished product. Both the Houston Astros and New York Yankees missed the postseason. As a result, the Indians could afford to head into the season with a decent roster and hope for the best, as they had just as good a chance as everyone else. It’s not quite the same this time around. Last year, Houston, Boston and New York all finished with no less than 100 wins. Each team was already significantly more talented than Cleveland heading into 2019, and this was before an offseason of cost-cutting. Not only has the competitive landscape drastically changed since 2016, so, too, has the mindset of the Indians players. Back then, Cleveland was a scrappy team full of up-and-coming talent which played as if it had nothing to lose. 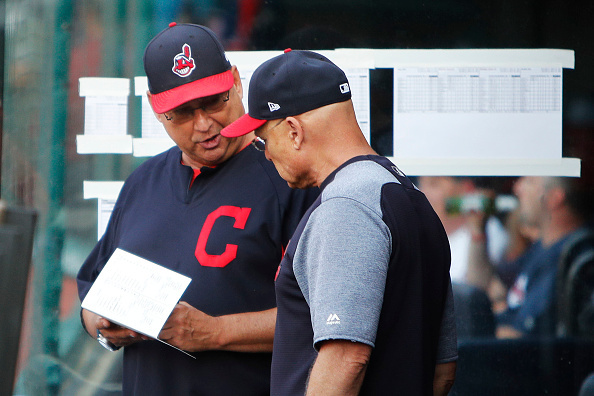 There were no heavy expectations, as the Indians hadn’t been to the postseason since 2013. While I’m not here to tell you the Indians won’t be motivated in 2019, I also can’t ignore the fact that this team has looked underwhelming as far back as Game 3 of the 2017 ALDS. Where the 2016 Indians seemed motivated to defy expectations, they spent last season looking uninterested in even meeting them. Now, the players Cleveland leaned on during last year’s let-down campaign will be asked to carry even more weight, making up for the newfound holes in the offense and bullpen. It’s tough to believe this is welcomed within the clubhouse. Honestly, even how the team could approach the trade deadline has changed since its World Series run. The aforementioned even playing field made it possible for the Indians to go for broke in trading for ace reliever Andrew Miller in 2016. They had a legit chance to win the pennant, allowing them to add to what was already a solid bullpen. As noted, Cleveland is already a couple miles behind its toughest competition, and we haven’t even gotten to Spring Training yet. For proof of how this can change the impact of a trade, look no further than last season. While the addition of Miller was adding more talent to an area of strength, last year’s trade for Brad Hand was essentially Cleveland course-correcting. The team had done nothing in the offseason to fix a suspect bullpen, then watched said decision backfire in epic fashion. As a result, the Tribe had to trade its top prospect to fix a problem it failed to address heading into the season. It sure seems like the Indians are setting themselves up for the same outcome this time around. As I’ve noted before, I am in no way here to guarantee the 2019 season will be a failure for Cleveland. We don’t know how things will play out, and everyone opens the year tied for first. With that said, if budget constraints have Cleveland resorting to a “it worked before, it can work again” mentality with its imperfect roster, the team could be in for a rude awakening in the year ahead.